Long-time Chicago residents are familiar with “The Chicago Way”: it’s often not what you know, but who you know, that gets things done in this city. So when Andy Csapo opened the tool shed in back of his family’s funeral home on Chicago’s Northwest on Nov. 20 and saw two eyes glowing in the back of the shed, the first thing he did was tell his wife, Joyce. 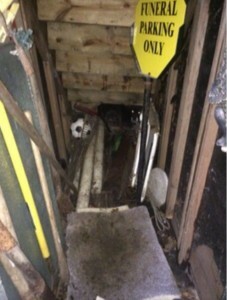 “The shed is just an enclosed outdoor stairwell, and the door has a missing slat on the bottom, so it must have crawled through that,” Andy said. 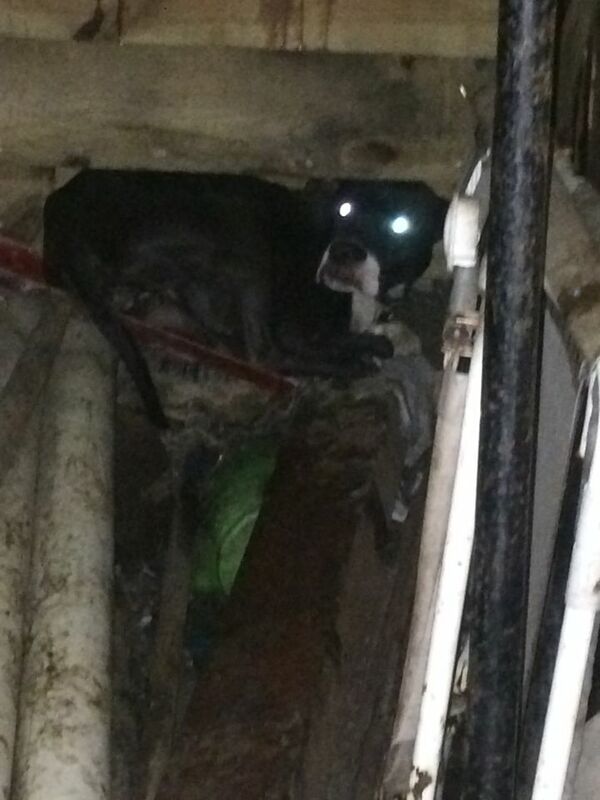 The Csapos did not want to call Chicago’s Animal Control for help, because they didn’t want the dog taken to the city pound. Joyce called her daughter, Joy, and asked Joy to call a friend who does animal rescue transports for help. The transporter, Lydia Rypcinski had never done an actual rescue. However, she knew Susan Taney, founder of Lost Dogs Illinois, and called Susan for advice. 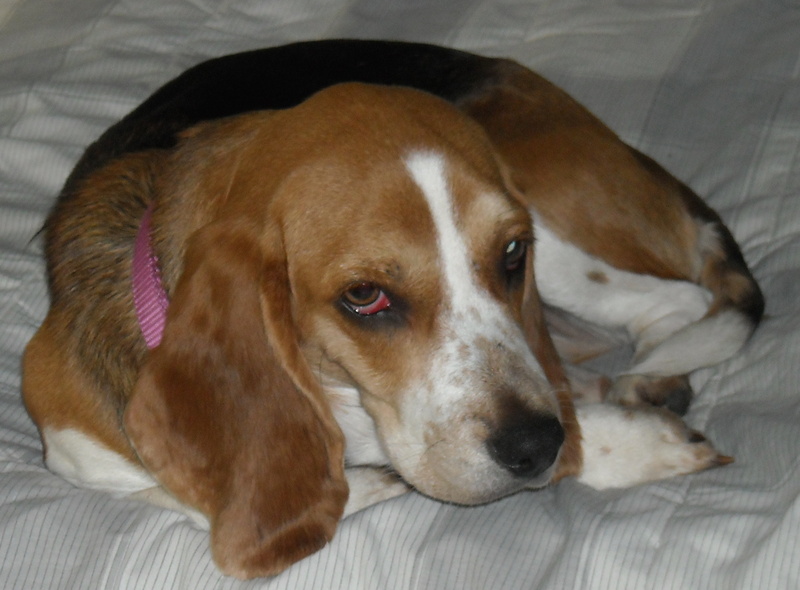 Susan referred Lydia to Katie Campbell, an experienced dog rescuer who lives on Chicago’s South Side. Katie suggested that Andy cover the opening in the door, provide the dog with blankets, food and water, and make sure it was secure until she could get to the funeral home the next day. With Chicago’s biggest November snowstorm in 127 years approaching that night, Katie’s concern was that the dog stay in one place, protected from the elements. The next afternoon, Katie arrived with hot dogs and her “snappy snare” and was able to secure and bring the dog out of the shed. The dog had a collar and nametag – “Kyra” – with a phone number on the back. 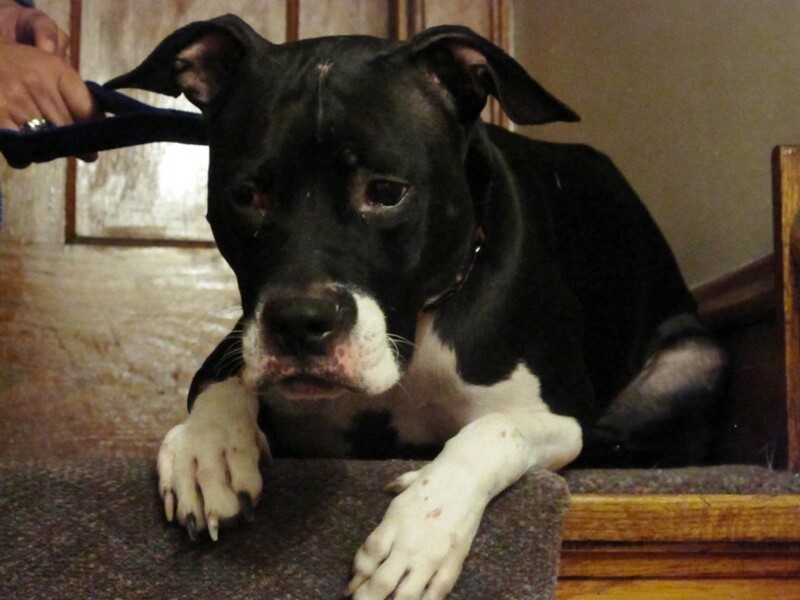 Kyra, a handsome 3-year-old black-and-white pit bull, was bundled into blankets and lifted into Lydia’s car while Katie called the number on the tag. “It’s their dog!” she shouted as she got off the phone. 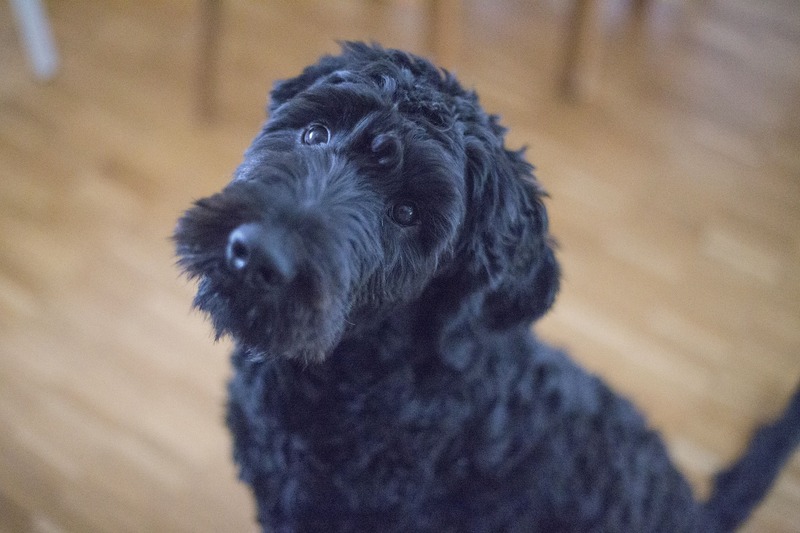 Kyra’s family had posted the dog’s picture on Lost Dogs Illinois eight days earlier, after Kyra escaped from the back yard of their house two miles north of Meiszner Funeral Home. Katie was able reference the posting to verify that the dog was indeed theirs. 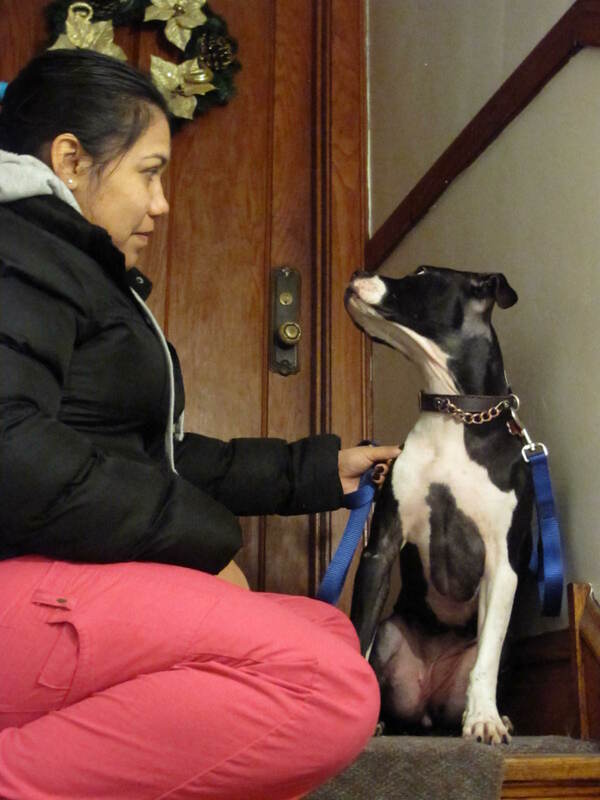 Kyra’s owners, the Ortiz family, were ecstatic to welcome Kyra home. “I thought I would never see her again,” Sandra Ortiz said. 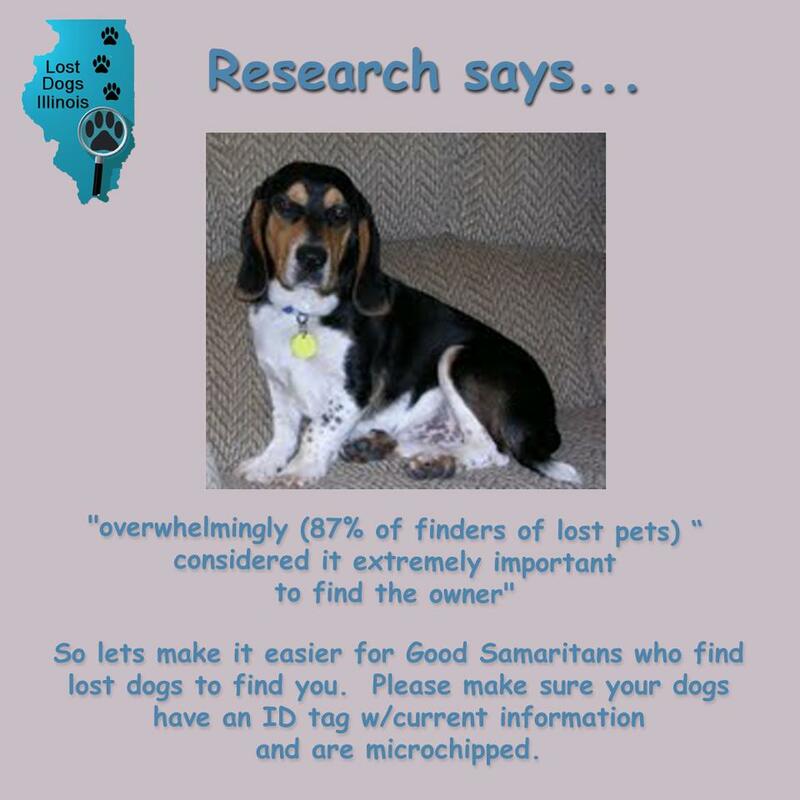 “My family and friends told me to file a missing dog report on Lost Dogs Illinois. Several people called who thought they had found my dog but hadn’t, and I was starting to lose hope. I have three kids. My youngest was asking if Kyra was not going to live with us anymore. I didn’t know what to say. A trip to the vet revealed that Kyra had dropped from 57 to 33 pounds, that her sugar levels were high, and that she had cold burn rashes on her paws but otherwise was in good health. She was microchipped right away, and the faulty latch on the back gate was fixed to pre-empt future escapes. A week later, Kyra had regained much of the weight and was happily romping with the Ortiz children and their other dog, a Shih Tzu named Bear. 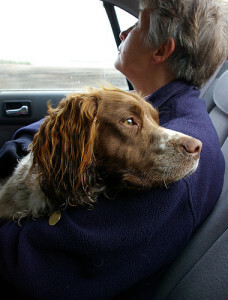 “Bear was really excited to see her again, he had been getting depressed without her,” Sandra said. 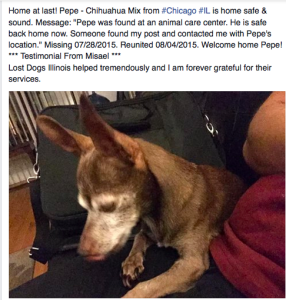 The Chicago Way and Lost Dogs Illinois. That’s a winning ticket in The City That Works. Kyra and Sandra – one week later! 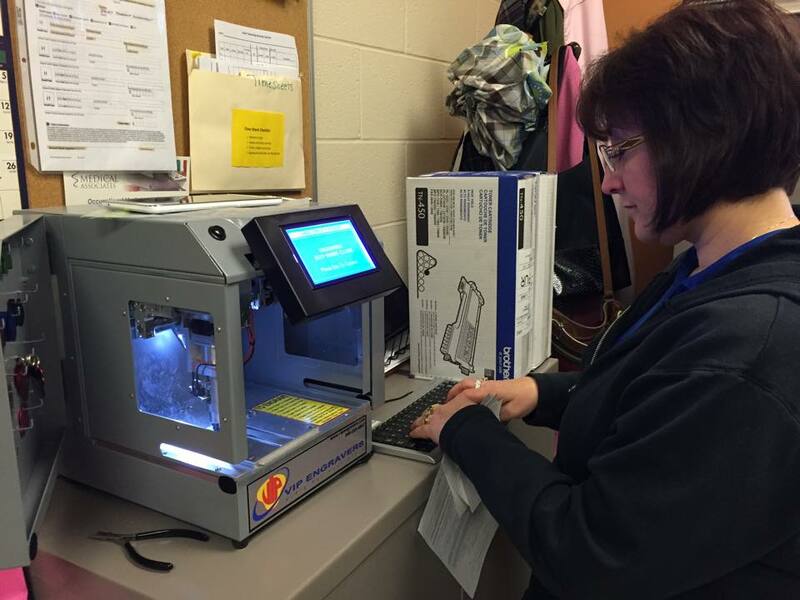 Thank you Lydia Rypcinski for sharing Kyra’s story! This entry was posted in ID TAGS, lost dogs, Reunions and tagged found dogs, Good Samaritans, ID tags, return to owner, reunion stories, Snappy snare on December 4, 2015 by Susan. 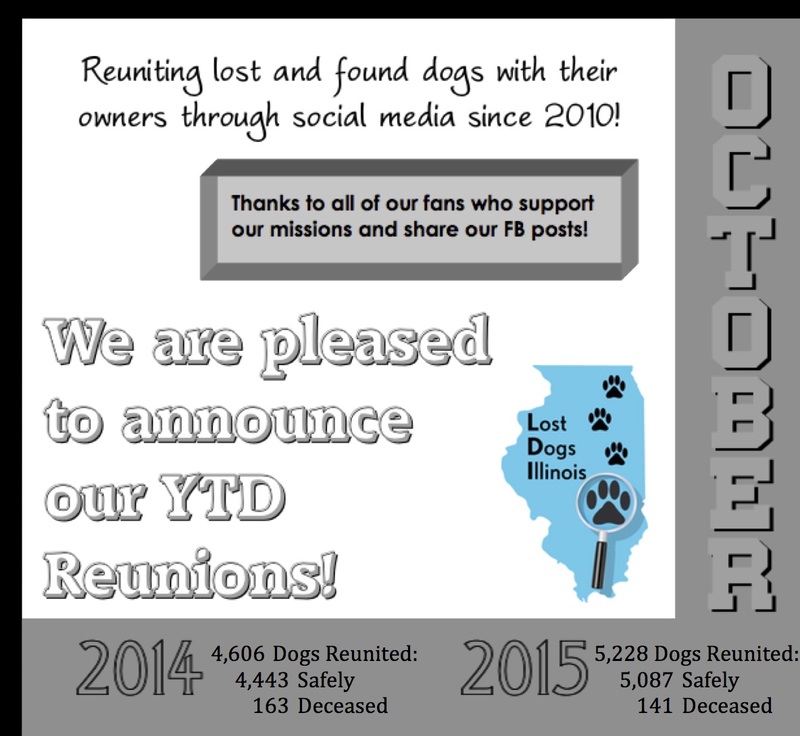 We, at Lost Dogs Illinois, feel it is important to keep you informed on how we are trying to support our mission is reuniting lost dogs with their owners. 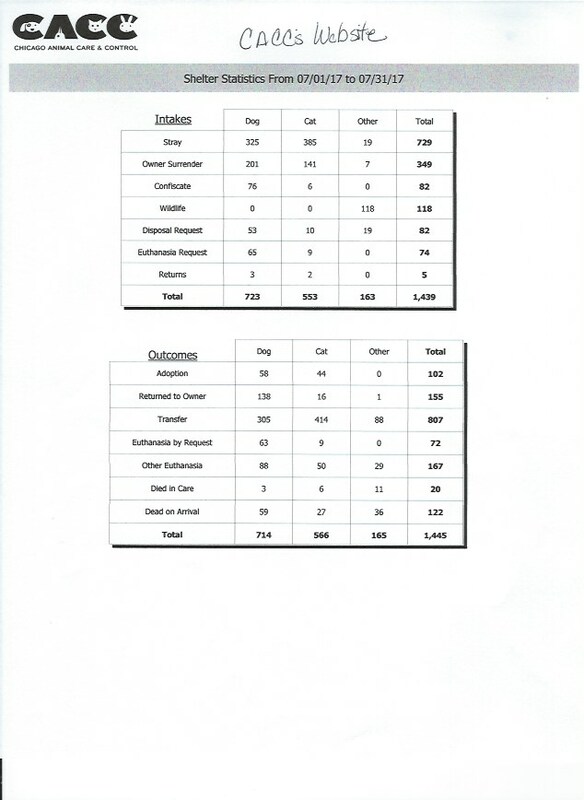 Since 2012 through the end of September 2015, over 70,000 animals have passed through the doors of CACC. 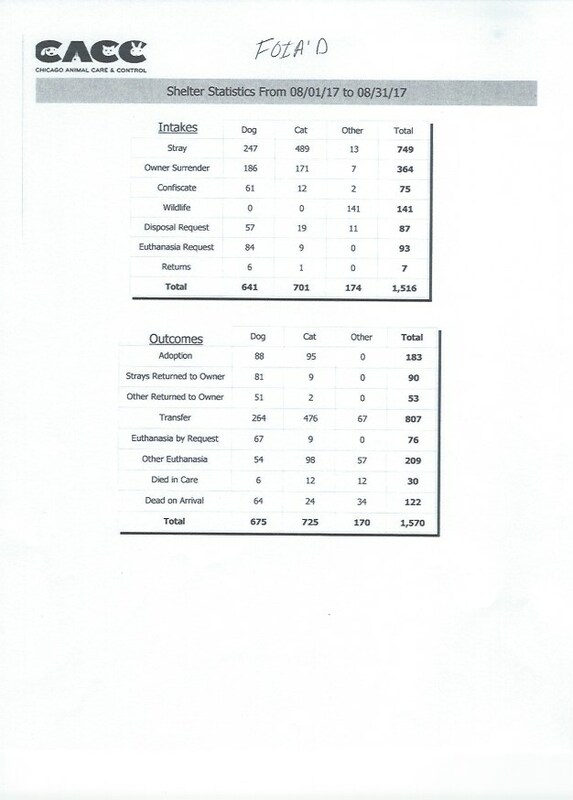 Approximately 4,400 were adopted; 5,400 were returned to owner and 37,000 were transferred to rescues. 24,000 were killed. What is wrong with this picture? 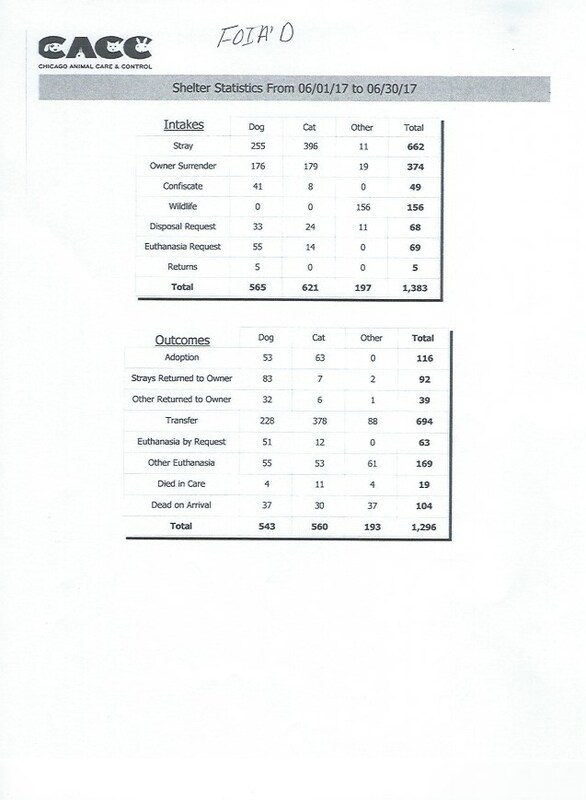 The management staff of CACC has been so concerned with increasing their live release rate that they have done this at the expense of owned family pets and rescues. Rescues are doing the heavy lifting. Many of these rescues volunteers are paying taxes to support CACC while they are funding their rescue organizations and volunteering their time to take care of these animals.. Many progressive animal controls have over a 50% return to owner rate for dogs and 9-13% RTO for cats. Many of these owned dogs and cats at CACC are being adopted out, transferred to other shelters and rescues or killed. These same progressive animal controls have adoption programs and promote adoption events to find homes for the homeless. It is time for the City of Chicago to hire a Director who will implement progressive, proven programs like a lost pet recovery and viable adoption program including an intervention program to keep animals in their homes. Illinois is ranked number one in animal protection laws in the US even though Chicago, a world-class city, is lagging way behind in saving lives and keeping animals in their homes. One final note: Chicago’s shelters are rich in cash assets. I understand that it is good business practice to have a surplus and that some assets are locked in. BUT when the three largest shelters have over $100 million in assets. 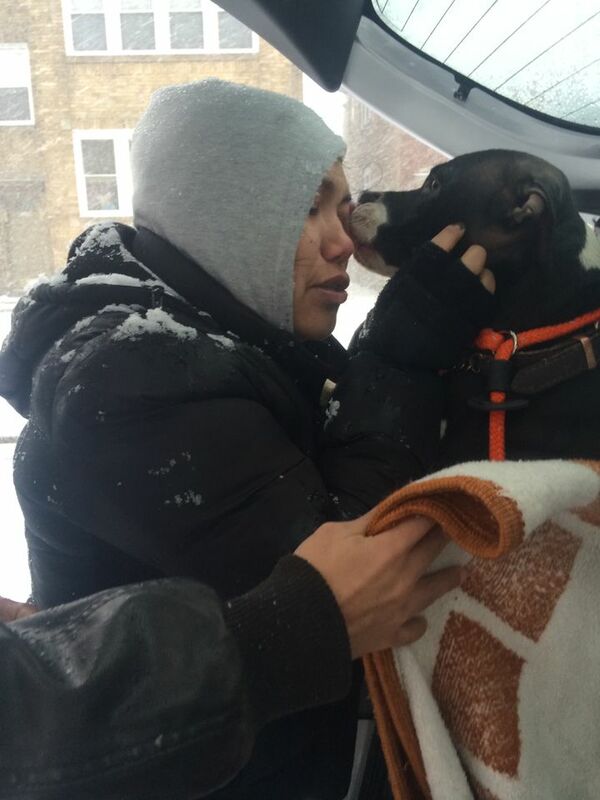 Doesn’t it make sense to collaborate with CACC to offer free microchip events to Chicago residents, develop programs to keep animals in their homes, and to help with CACCs adoption program. I hope common sense will prevail to save lives. This entry was posted in Animal Control/Stray holding facilities, Our Organization and tagged CACC, City of Chicago Animal, return to owner, Stray holding facilties on November 21, 2015 by Susan. This entry was posted in Animal Control/Stray holding facilities, Our Organization, Statistics and tagged Lost Dogs Illinois, return to owner on November 21, 2015 by Susan. Last week we posted our action alert to encourage all Cook County Residents (including Chicago) to please contact the President of Cook County Board and each County Commissioner Board Member and let them respectfully know that you support the recommended changes presented by the Cook County Inspector General as a FIRST step toward fixing the problems of Cook County Animal Control. This week we have included a letter to send to each County Commissioner Board Member and the President of Cook County Board. 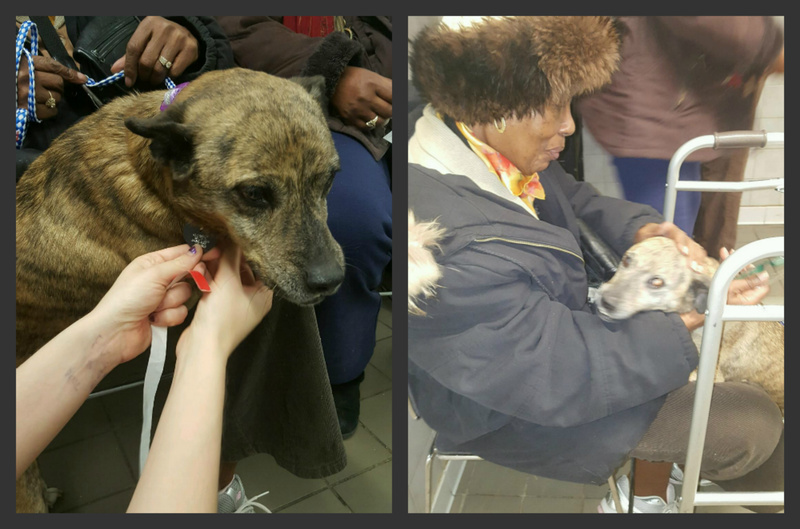 We need to let the President and Cook County Commissioners know that the residents of Cook County overwhelmingly support changes to provide better services to the Cook County Residents and their pets. Please take a few minutes, copy and paste this letter. 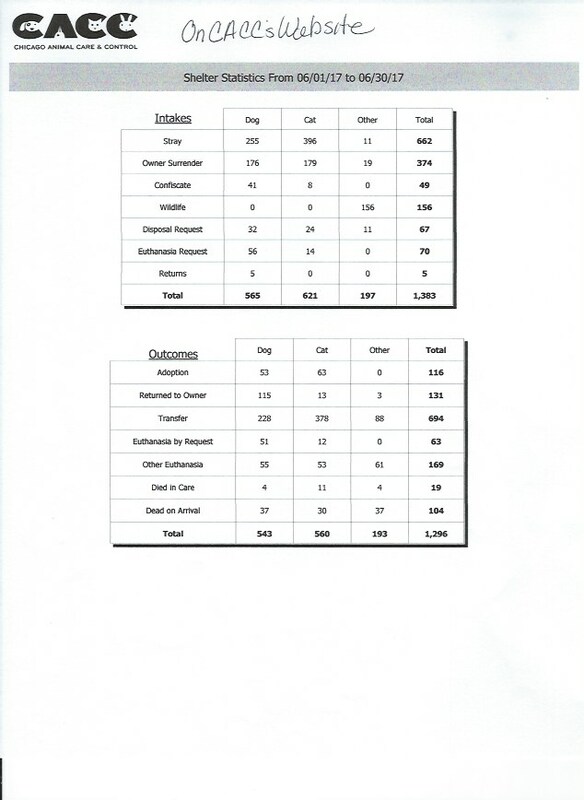 As you are aware, the Cook County Inspector General recently completed an operational review of the Cook County Animal and Rabies Control Department. 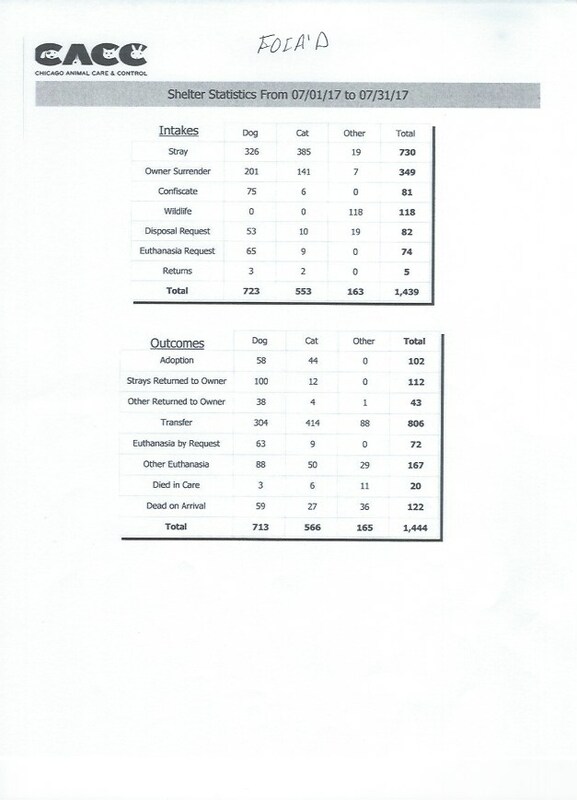 The review analyzed the administration, operations, budget and overall practices of Animal Control. The report found things that taxpayers have long known to be true – that the department is woefully mismanaged and not adequately serving the public. * No centralized database for posting found dogs for Cook County. * No facility. Nationally, it is incredibly rare for an animal control department to not operate its own facility. Cook County is one of the only local animal control agencies that does not have its own holding facility for stray animals. DuPage, Kane, Lake and McHenry counties have shelters to house stray animals, reunite pets with their owners and adopt homeless animals out. * Millions of dollars budgeted and spent with nothing to show for it. When you compare the County’s animal control department’s budget to that of the City of Chicago, this fact is even more appalling. 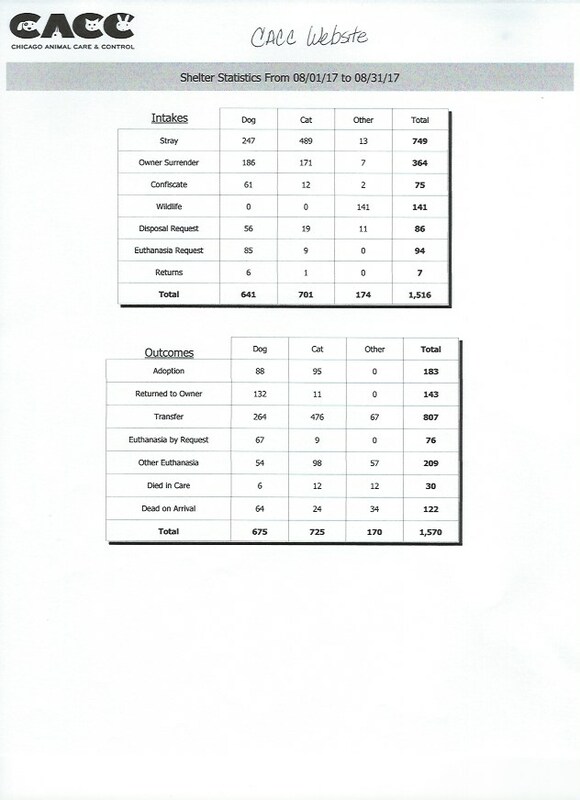 In 2014, the County only picked up 262 animals. In 2014 alone, the City of Chicago, with less square footage and fewer residents than the County, took in 21,037 animals! * No central repository system (microchip numbers and rabies tags number) available to other shelters and law enforcement to reunite pets with their family quickly. These are just a few of the items cited which are disconcerting for taxpayers and voters in Cook County. 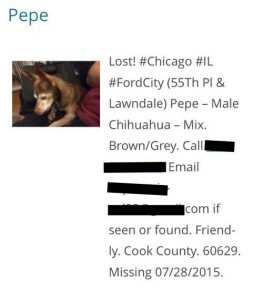 Any pet owner in Cook County or surrounding areas is doubly concerned since a lost pet that ends up in this system has virtually no chance of being reunited with its owner and a high probability of death. I urge you to vote for and support major changes at the Cook County Animal and Rabies Control Department. Over 60% of residents in Cook County are pet owners. They deserve a system that works to protect them and their pets. They deserve your vote for change. Here is the listing of the President and the County Commissioner Board. If you would like to thank Commissioner Fritchey for initiating this investigation, please contact him. 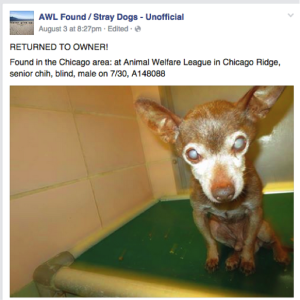 This entry was posted in Animal Control/Stray holding facilities, Our Organization and tagged Cook County Animal and Rabies Control, Cook County Commissioners, Lost Dogs Illinois, return to owner, Stray holding facilties on October 6, 2015 by Susan. 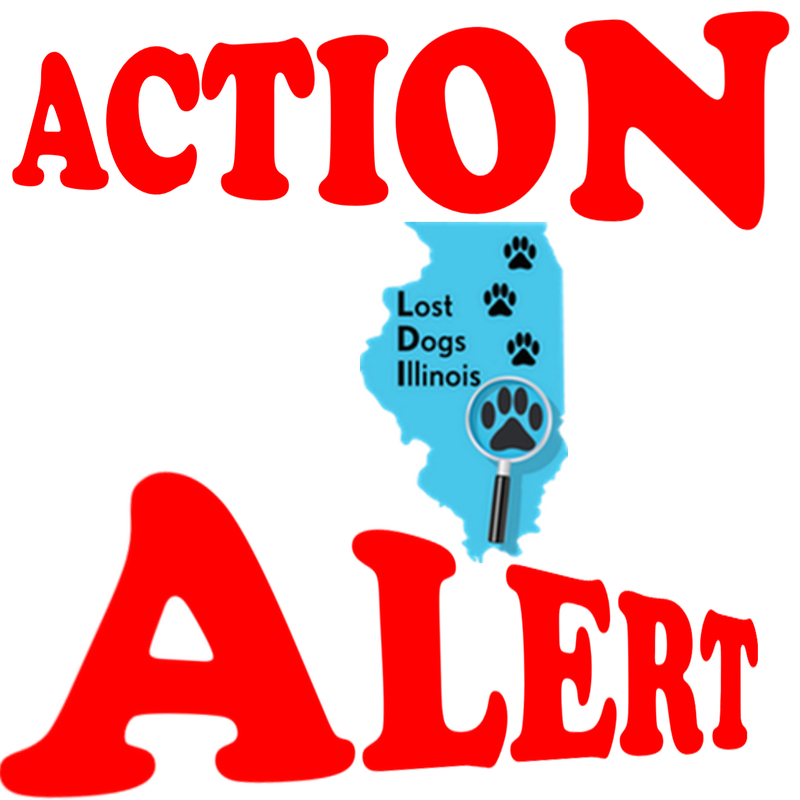 After hearing taxpayer’s complaints and experiences as well as the concerns of Lost Dogs Illinois with Cook County Animal And Rabies Control (CCRAC); Commissioner John Fritchey filed for the Cook County Inspector General to do an investigative report on CCARC. We are pleased with most of what the Inspector General has recommended. If implemented, these recommendations should help more lost pets be reunited with their families. We are still concerned about the disparity of fees and holding periods among the municipalities. Here are Lost Dogs Illinois blogs about how difficult it is to find your lost dog in Cook County. 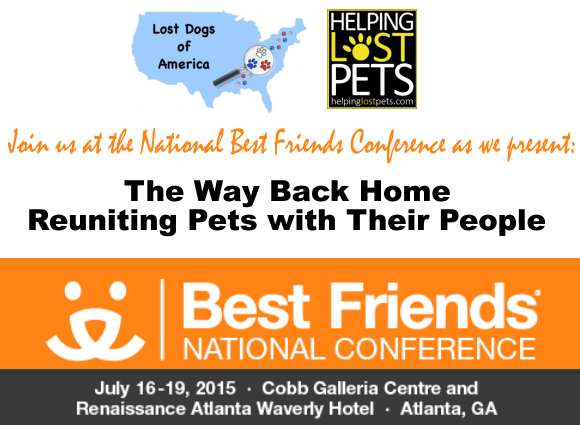 Please be the voice for owners and their lost dogs. Everyone who is a Cook County resident please contact their County Commissioner and the Cook County President. Demand that change is needed! Cook County Government – click on Government – County Commissioners are listed. Together we will get more lost dogs home. 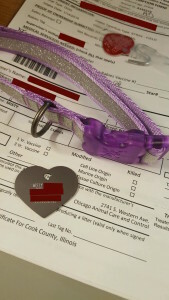 This entry was posted in Animal Control/Stray holding facilities, Our Organization and tagged animal control, Animal Welfare League, Audit, Cook County Animal and Rabies Control, Cook County Inspector General, Lost Dogs Illinois, microchip, return to owner, Stray holding facilties on August 23, 2015 by Susan.